Man Rubbing His Shoulders With Left Hand. Back View Waist Up In Polo Shirt. Description: Adult caucasian man rubbing his shoulders with left hand. Waist up locked shot. back view polo shirt. 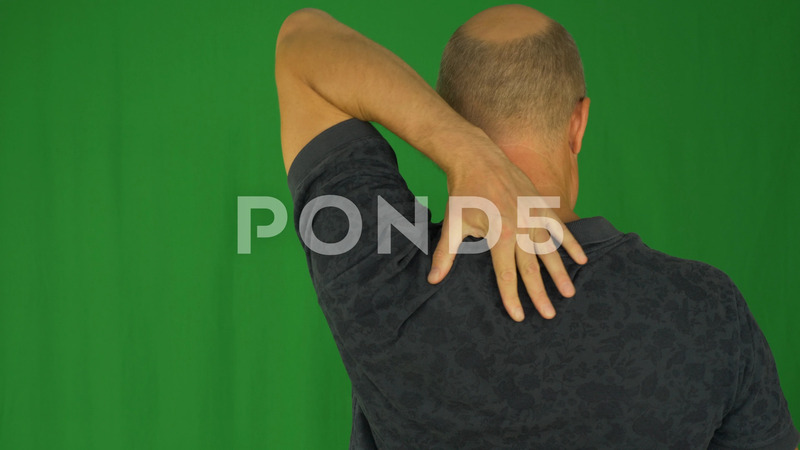 Sore joints sick ill. Just studio green screen at background. Not keyed original clip. Chromakey.